Located in a sheltered position beside Wansfell Pike (1,587 feet) in Cumbria, Ambleside is just one mile from Lake Windermere, and provides a perfect base for touring this area of great natural beauty. Walkers, climbers, anglers and nature lovers alike, all flock to Ambleside for their respective ‘fixes’, and you can find out what the town and area has to offer, by heading for the Bridge House tourist information office, which is run by the National Trust. When the weather is fine and to get a real appreciation of Lake Windermere itself, take a boat trip around the lake, or get the steamer to Bowness-on-Windermere, and don’t forget your camera. Continuing my series of local business websites for the Aylesbury area of Buckinghamshire, United Kingdom, I have just done a new site for an Aylesbury hairdresser, which should be handy for those seeking hairdressing and beauty services in the Aylesbury area. These local business websites are fairly easy to get decently ranked, and certainly bring in some business for those who choose to do them. The website is not finished yet and is pretty basic, but at the end of the day it is the rankings which matter, so I will be watching it closely over the next few months to see how it progresses. I shall be adding lots more Aylesbury business websites shortly as it is part of an experiment that I am trying out..
For many centuries, an important river crossing over the River Ure in North Yorkshire, the small town of Boroughbridge is worth a visit if only to view the standing stones which are located on the edge of the town, and are known as the Devil’s Arrows. Dating from the Bronze Age, the Devil’s Arrows are 3 millstone grit menhirs reaching a height of 22 feet. The nearby village of Aldborough was previously more important than Boroughbridge, and has a Roman history, being the former settlement of Isurium Brigantum. The river crossing around which Boroughbridge grew, was moved from Aldborough by the Normans in the 11th century, reversing the importance of the two Yorkshire places. Its position just south of Hadrian’s Wall has meant that Carlisle has always over the centuries, been continually contested by the English and the Scots, as the two battled for possession of the town. Carlisle Castle was built in 1092 by William Rufus, and many of its original features can still be seen today, including the keep and the main gate. If you are visiting Carlisle, be sure to take a peek at Carlisle cathedral, with its fine vaulted ceiling, and some original Norman sections. Also worth a look is the Jacobean Tullie House, which now hosts an art galley and museum. The city is situated at the confluence of 3 rivers, and when the weather is fine thare can be no better way to spend a couple of hours than to take a stroll along the River Eden. Carlisle is in the county of Cumbria and can be reached by road using the M6, it is a 126 mile drive from Liverpool. A civil parish and small village situated between Reading and Newbury in Berkshire, Bucklebury is the home village of Kate Middleton’s family. Bucklebury has a population of 2,066 and a parish church which dates from the 11th century (St Mary the Virgin). Mentioned in the Domesday Book (1086), Bucklebury was one of King Edward the Confessor’s royal manors, before the Norman invasion of Britain. The Berkshire village was originally located right beside the River Pang, an area of woodland and heather close to the village is called Bucklebury Common. A popular tourist destination standing beside Derwent Water in the Lake District, Cumbria, north-west England, Keswick is in an area of great natural beauty, and attracts thousands of visitors each year, as it has done for many decades. Formerly attractive to the Romantic poets of the Victorian era, Keswick attracted the likes of Wordsworth and Coleridge, who visited for the inspiration that the beautiful Lake District scenery provided. Close to Keswick, you can visit the Castlerigg Stone Circle, an ancient monument probably dating from the Bronze Age, and over one hundred feet in diameter, when the weather is pleasant head along to Derwent Water and maybe take a boat trip on the lake, or visit the Theatre on the Lake and watch one of their fine performances. Looking for a cleaning job in Leeds? then check out our new Leeds cleaning jobs page, which lists the latest available opportunites, vacancies and jobs in the cleaning and related trades in the Leeds city and surrounding areas. Banish the recession blues by finding yourself a new job in Leeds, and begin working for a better future. We are also looking for advertisers, to add listings to our growing Leeds job pages, so if you have a cleaning job on offer in Leeds, why not let us list it for you at the very reasonable price of just 10 once only fee, job stays on until filled. Leeds is a large city in the county of Yorkshire, it has a population of almost 1 million. 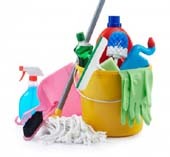 Check out our Leeds Cleaning Jobs page Here: Leeds Cleaning Jobs. Situated in the beautiful valley of the River Eden in Cumbria, the town of Appleby is the location of a famous Horse Fair, which is held in June every year, this colourful event attracts many thousands of visitors, especially gypsies, who descend on the town from all over Britain. Appleby Castle was formerly the home of Lady Anne Clifford, and was restored to its former glory by her, after being damaged during the English Civil War. The St Lawrence church in Appleby contains the tomb of Lady Anne Clifford who died in 1678. The River Eden flows through the town and when the weather is fine is a terrific place to do some walking. Appleby is located to the east of the Lake District and the areas around the town are peppered with tiny hamlets such as Reagill, Sleagill, Burrells and Murton. Situated in the Ryedale district of North Yorkshire, the small village of Ampleforth stands on the southern fringes of the North Yorks Moors National Park, and is a perfect base for touring this area of great natural beauty. With its population of 888, Ampleforth is only a tiny village, though it has some history, and its parish church dates from Saxon times, it also has a abbey (Ampleforth Abbey), which is located about a mile from the village centre. Ampleforth is about 20 miles drive from the city of York, and nearby places include, Yearsley, Grimstone and Fritton, head into the North Yorks Moors, and you will find the hamlets of Wass and Oldstead . Overlooking the picturesque St Mary’s Bay in Brixham, Devon, the popular Riviera Bay resort is an ideal spot for a family holiday in this desirable area on Torbay. Offering access to beautiful beaches, charming villages and stunning walks along the Devon coastline, the resort also has plenty of great facilities for those not wanting to venture too far. The Tropicana clubroom is at the heart of Riviera Bay entertainment with shows, discos and cabarets taking place here, other leisure activities include heated indoor swimming pool, so you can swim whatever the weather, 10-pin bowling, crazy golf, amusement arcade, soft play area for under fives, pool, darts, tennis court, big screen television, bingo and an adventure playground. Accommodation is in chalets and prices start at £148 for a 4 person chalet. Nearby Brixham is a charming town with an attractive harbour, here you will find plenty of pubs, restaurants and shops. Why not take a look at the replica of the Golden Hind, Sir Francis Drake’s famous ship. The lovely local coastline is perfect for hiking, so when the weather is fine, why not take a few hours out to get away from it all along this picturesque coastline. You could head along to Berry Head, a nearby coastal headland, which is also a nature reserve with some rare species of flora and fauna. So for your holidays in Devon, why not choose the delightful Riviera Bay. A market town located in the Craven district of North Yorkshire, Skipton is often referred to as “The Gateway to the Dales”, due to its position at the southern tip of the Yorkshire Dales, an area of great natural beauty. Dominated by its medieval castle, which was originally built by the Normans, Skipton has a number of interesting places to visit including the George Leatt Industrial and Folk Museum, the Craven Museum, and the High Corn Mill, a restored mill building. When the weather is pleasant be sure to take a stroll along the towpath of the Leeds and Liverpool Canal, which runs through the town. Skipton is approximately 27 miles from Leeds. Tickets are now available for the 2011 FIB Heineken Benicassim Music Festival, which is scheduled for the 14th– 16th July 2011 in Benicassim. Make sure that you get your tickets booked early for this fabulous event which takes place in the coastal resort of Benicassim, on the Costa del Azahar, Valencia, Spain. The line up for the 2011 festival is yet to be announced, but as always, expect plenty of talent to be on show. Benicassim is a popular seaside resort, close to Castellon de la Plana, it has excellent sandy beaches and plenty of amenities and accommodation, though the offered tickets include 8 days camping on-site, if you prefer to rough it and take in the festival atmosphere. The currently offered £125 tickets are for ‘early bird’ Benicassim tickets only, and will not be around for long, expect to pay more once these tickets have gone.